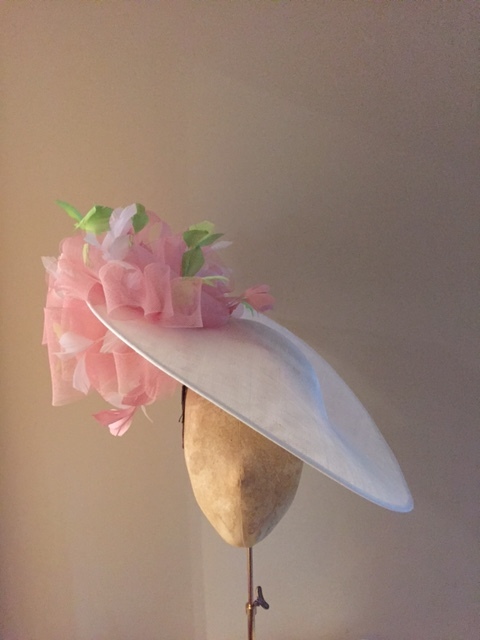 A 18″ sinamay dish with crinoline ruffles and cut feathers on either side. 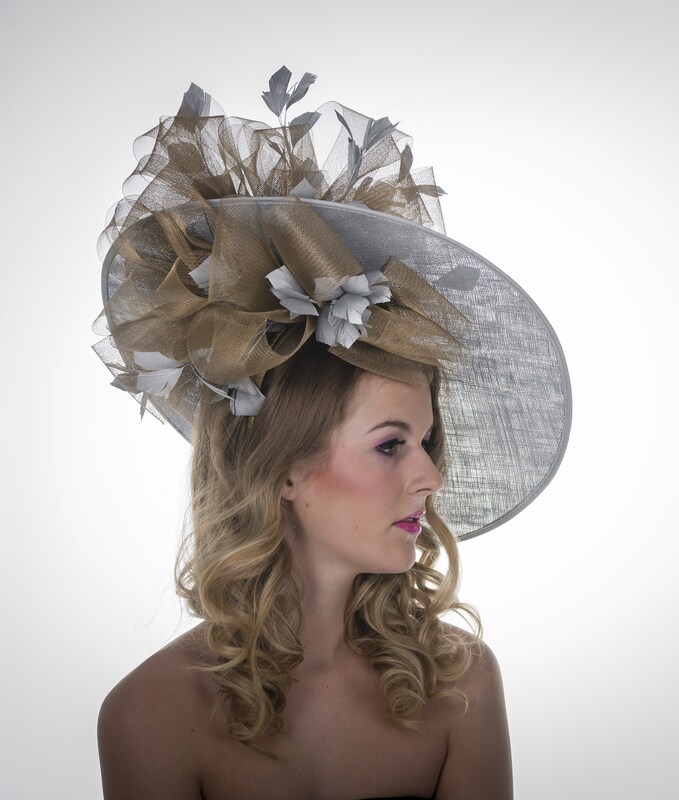 The Mandarin 18″ dish hat is made up of a sinamay dish base with ruffles of crinoline and cut feathers made on a band. 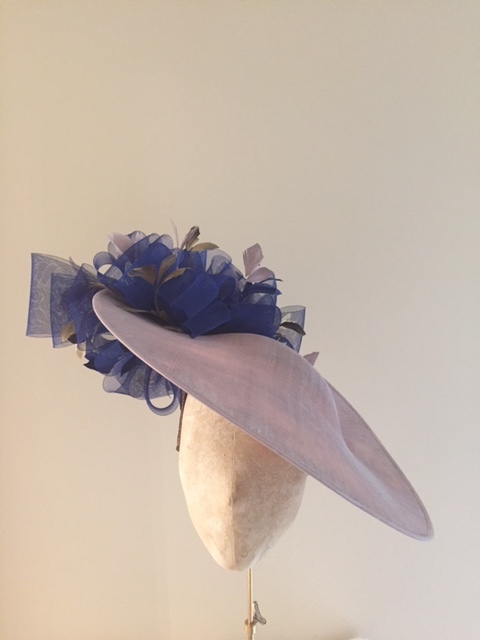 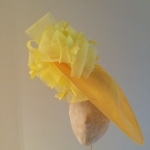 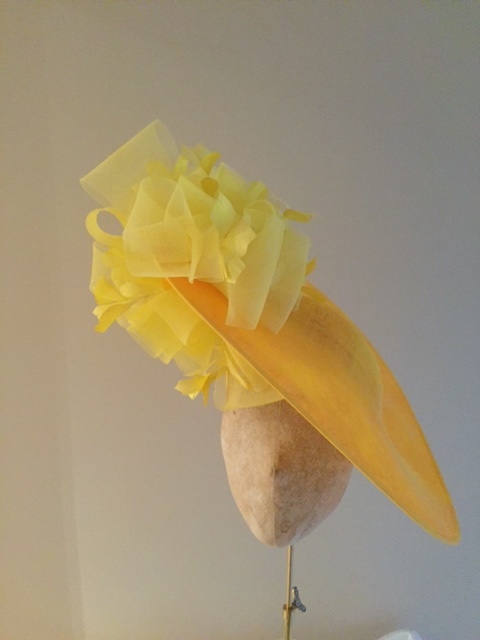 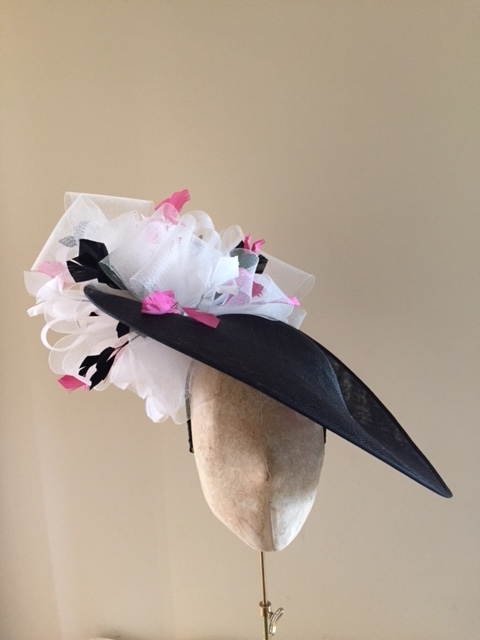 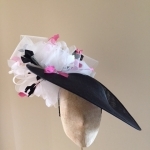 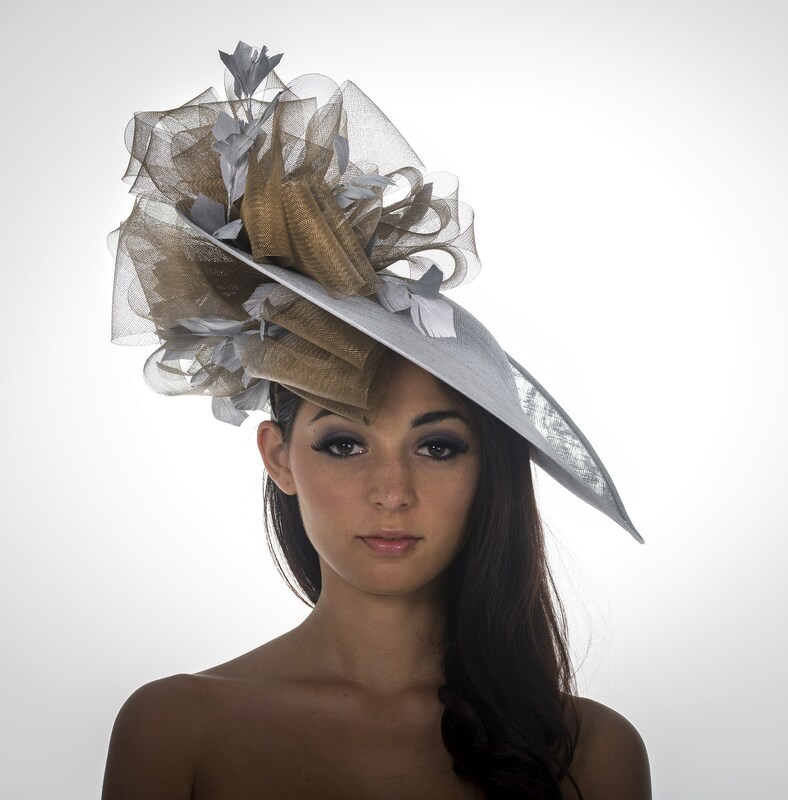 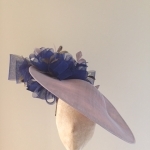 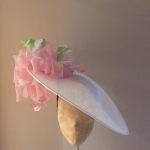 This beautiful hat can be made to be worn to either side of the head (let us know in the comments box at checkout if you have a preference) This is a striking hat and can be a really head turner.